Your parents are mostly emotional, just like you. They look at the physical and the material, while a REAL Pastor looks and counsels you based on the Spiritual. 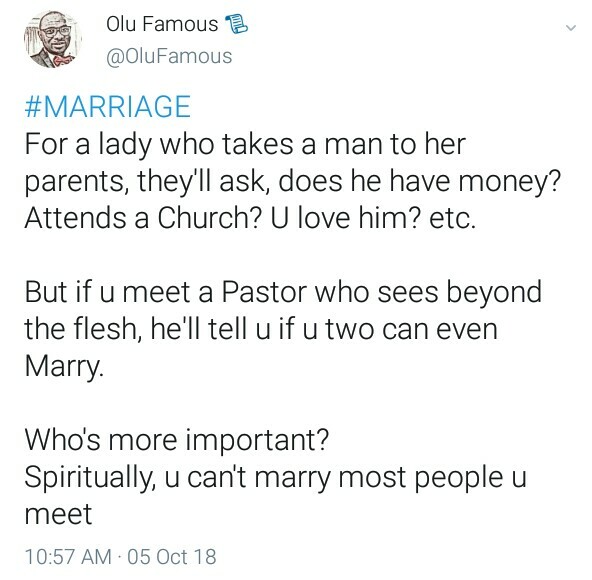 If you understand that the Spiritual is superior to the Physical, then you don't need anybody to tell you that a Pastor who sees beyond the flesh is more important in your lifetime marital journey than your parents. 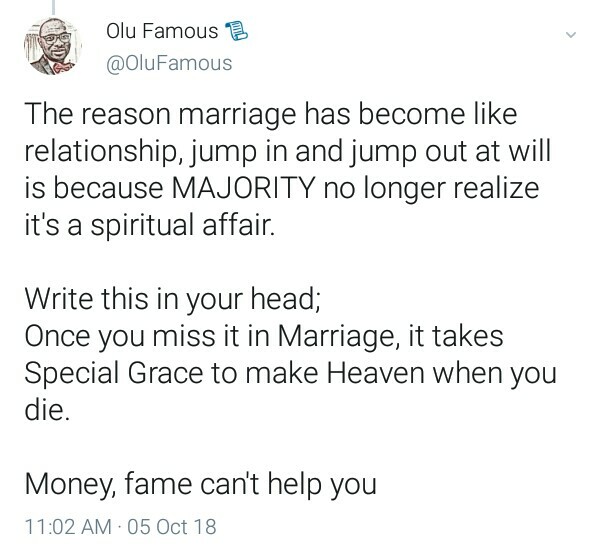 Don't be fooled by social media, marriage is your destiny. Be guided.